Give out a healthy gift, and be remembered for it. Get your name seen at the same time with the personalised Salted Mixed Nuts 50 Gram Bag. Look no further for a health snack that can benefit you in more ways than one. 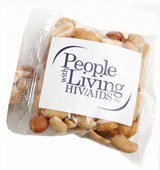 Our personalised Salted Mixed Nuts 50 Gram Bag is the solution you have been looking for. Although it may look like another run of the mill pack of mixed nuts, this product can actually help elevate your brand and get your company’s name out there. Weighing 50 grams, the promotional Salted Mixed Nuts 50 Gram Bag is a cleverly sized snack that can either be shared or savoured alone. It is packaged in a clear cello bag that has a width of 95 mm and a height of 85 mm. Each packet contains an array of different kinds of delicious nuts that are lightly salted and ready to eat. 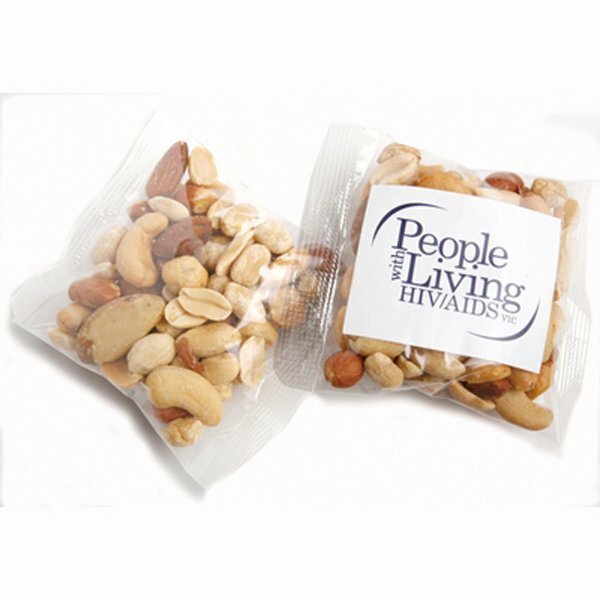 By having the option to print out a sticker label on each packet, the custom Salted Mixed Nuts 50 Gram Bag turns into your very own branded item. The size of the sticky label is 50 mm in width and 40 mm in height. You may include details such as your company logo or a company tagline on the sticker. The contents will not only be enjoyed by the recipients of this corporate gift, but it will also be something that they will remember you by. In case you need any assistance with customising your orders, you can ask our friendly customer service representatives and they’ll be glad to assist you. Give us a call via 1300 008 300, or send us a message through our chat application. 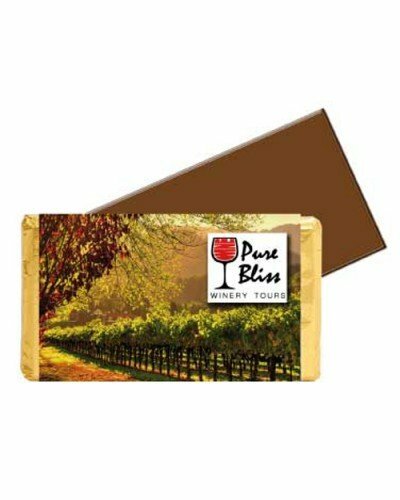 You might also want to have a look at our selection of savoury promotional products while you’re visiting our site. 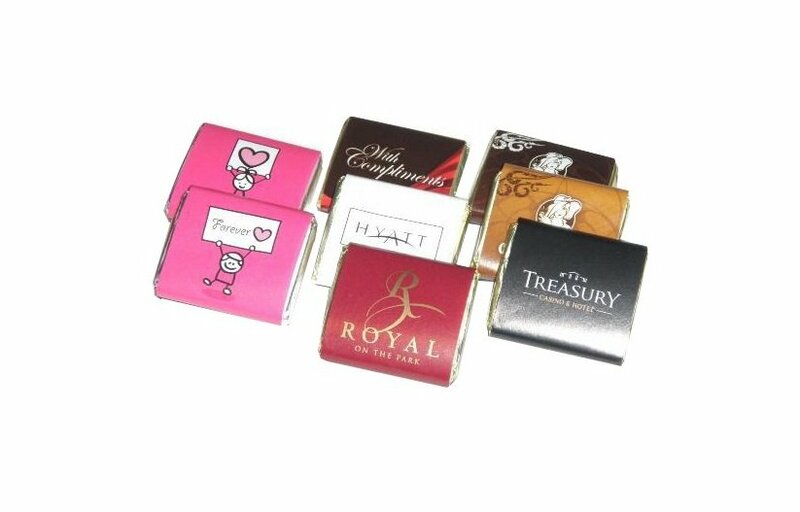 Check out our promotional Biscuits which are a very delectable giveaway. We also a have some branded Dried Fruits if you want a more natural fruity gifts. Oh, and if you really want to spruce up your big event then hop over to our Fast Caps website to see our comprehensive range of promotional head wear. After all, caps and confectionery do go hand in hand. You may wish to commence your journey with our promotional Club Sport Cap.